Day 3 of former Trump campaign chairman Paul Manafort’s federal trial on bank and tax fraud charges began Thursday, in much the same way Wednesday ended: with prosecutors illustrating what Manafort spent his money on, and more importantly, the method he used to spend it. The first two witnesses Thursday, and the final six witnesses Wednesday spoke to Manafort’s luxurious lifestyle; the chief operating officer of a home electronics company said Manafort spent over $2 million with his company over five years, a landscaper testified about putting flower-lined tennis courts on Manafort’s property and a manager of a men’s wear boutique said Manafort spent $330,000 on suits within a three-year period. But in the Alexandria, Va. courtroom, Judge T.S. Ellis has been quick to question whether Manafort’s expensive taste is relevant to the case. It’s not illegal to be wealthy, he said Wednesday. Prosecutors for the government filed a motion Wednesday night, however, arguing that what Manafort spent his money on is valid. They argue it proves Manafort’s “willful intent” to deceive the government. And, they also argue, his expensive lifestyle demonstrates why he lied, they say, to acquire bank loans when his income dried up. The witnesses have also all testified that Manafort paid them with overseas wire transfers, mostly from accounts in Cyprus — accounts that his bookkeeper testified Thursday she didn’t know about. Prosecutors argue that Manafort’s direct relationships with many of the vendors who testified also cut into the defense’s argument that it was actually his assistant Rick Gates who was behind many of the financial crimes Manafort is accused of. On Thursday, Ellis said he would allow prosecutors to introduce how much Manafort spent, but he discouraged them from going into intense detail or showing pictures of exactly what he spent it on — or to “gild the lily,” as Ellis put it. Still, prosecutors were able to elicit detailed testimony on Manafort’s expenditures from two witnesses. Joel Maxwell, the chief operating officer of a technology company, told the jury about the $2 million in work he did for Manafort from 2011-2014, while Michael Regolizio, the owner of a landscaping company, told them of his work on a 1 1/2-acre Manafort estate in the Hamptons, including the large flower bed of white flowers with an “M” spelled out in red flowers on the property. Both Maxwell and Regolizio testified that Manafort paid via international wire transfer. Regolizio said Manafort was the only one of his customers to pay that way; he had one other customer who paid with wire transfers, but those came from within the United States. Prosecutors also clarified Thursday that they intend to call Gates, who is expected to be their star witness, to testify in the trial. That was in doubt after Assistant U.S. Attorney Uzo Asonye said Wednesday that Gates may or may not take the stand. Gates pleaded guilty in February, and agreed to cooperate with investigators. It’s unclear at this point when Gates may take the stand, but as Manafort’s right-hand man, his testimony is viewed as a crucial — and dramatic — moment in the trial. His credibility is a key component to the defense’s strategy, as they argue that Gates is lying to investigators to hide his own embezzlement and cover his own illegal actions. 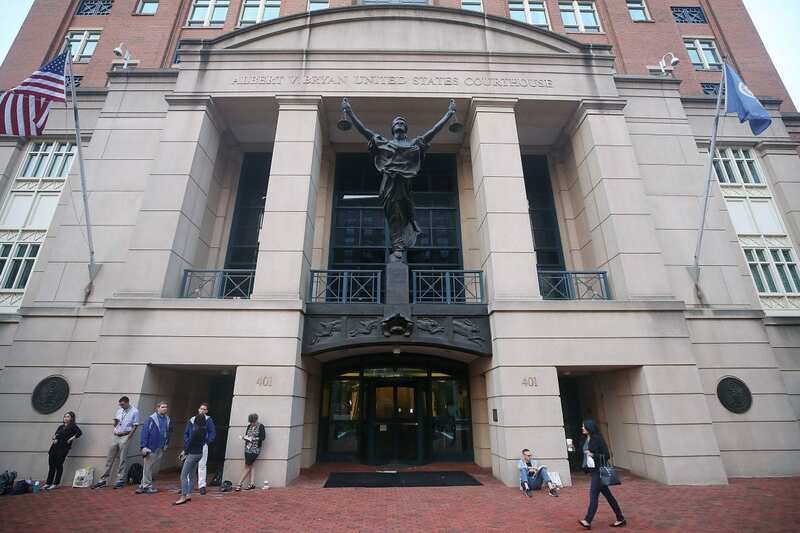 Just before the courtroom broke for lunch, prosecutors questioned Manafort’s bookkeeper, Heather Washkuhn of the accounting firm NKFSB, about his offshore accounts and about how involved he was in his finances. Prosecutors listed a number of overseas accounts they linked to him, and asked Washkuhn whether she knew about them. “No,” she said, to each one individually. Manafort dipped his head and smoothed back his hair twice during that sequence of questioning. Washkuhn added that she would have documented the accounts for tax purposes had she known about them. She also said Manafort was closely involved in his own finances. “He approved every penny of everything he paid,” she said. Washkuhn was expected to continue her testimony after the lunch break as well. Prosecutors zipped right along in their case. Assistant U.S. Attorney Uzo Asonye told the court Wednesday the government expects to close its case by the end of next week. To that end, the government plowed through eight witnesses on Wednesday, including a political consultant, representatives of two luxury menswear boutiques, home contractors, a real estate agent and a comptroller of a local Mercedes-Benz dealership. Government attorneys have meticulously traced purchases Manafort made for luxury clothing, home repairs, automobiles and other items to bank accounts he held in Cyprus and St. Vincent and the Grenadines. They also have moved to head off the main argument of the defense’s opening statement: that Manafort’s troubles are the fault of Gates. On Wednesday, jurors heard from witnesses that Manafort was immersed in the details of purchases and signed off on them personally. All but one witness had never dealt with Gates at all. Wednesday was a legal red carpet moment of sorts for representatives of two menswear boutiques. The first to testify was Maximillian Katzman, who took the stand in a tailored blue suit, a striped tie and a pocket square. Katzman, 29, was the manager of his father’s boutique, Alan Couture. Katzman described Manafort, who paid the firm nearly $1 million over a five-year period for suits and other items, as a Top 5 client. He said he was the firm’s only customer to pay by international wire transfer. Judge Ellis asked whether all of the company’s clients are important. Katzman paused, then replied with a grin: “I don’t want to answer that,” drawing a burst of laughter from the courtroom. The other well-dressed individual was Ronald Wall, who is the chief financial officer for the menswear retailer House of Bijan. He testified that Manafort spent more than $330,000 there over a three-year period, all of it paid for by international wire transfers from foreign bank accounts. As expected, Judge Ellis has made his voice heard during the trial. The 78-year-old, who was appointed to the bench by President Ronald Reagan, has frequently interjected himself into questioning of witnesses, aiming to correct what he views as an improperly framed question. He instructed attorneys on Wednesday not to use the term “oligarch” to refer to the rich, politically connected businessmen who paid for Manafort’s work in Ukraine. Ellis said it’s frequently understood as a pejorative term and could bias jurors (who weren’t present for his instructions). Despite pressing both sides to keep the case chugging along, Ellis has wandered down the occasional tangent on his own, with self-deprecating asides (his hearing isn’t what it used to be) or anecdotes about, say, his wife (who does have an email account and multiple computers).